Here at Tall Blonde French we procure premium potatoes on a daily basis to give you fresh fries throughout the day , so you have a one of a kind experience. Our in house blanching and frying techniques at optimum temperatures ensure crunchy and comforting Fries keeping your pleasure in mind. 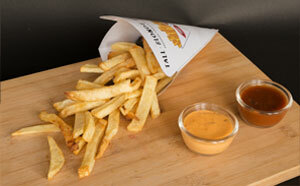 We take pride in incorporating flavour packed sauces from across the world to satiate every taste bud. 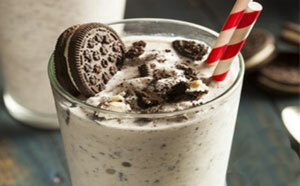 Our range of shakes blended with cakes and cookies complement the fries and will never leave you unsatisfied . Welcome aboard and please.. forget the fork ! Cheesy chilli fries, definitely before anything else ! Sweet potato fries served in cheesy bbq sauce. If you are interested in partnering with us, please leave your details and we’ll get in touch with you.